Ideal to use in the classroom when exploring picture graphs. Three different ratios are included to challenge more confident students. Print a copy for each child in the class. A black and white version is also available. Ask the children to read and interpret the picture graph. 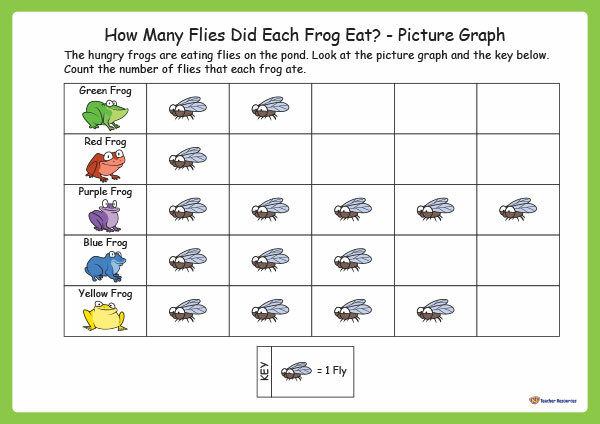 Ask the children to use the information on the picture graph to complete the data table and answer the questions. What comes next – as a class, create your own picture graph entitled – How Many Bones Did Each Dog Eat?